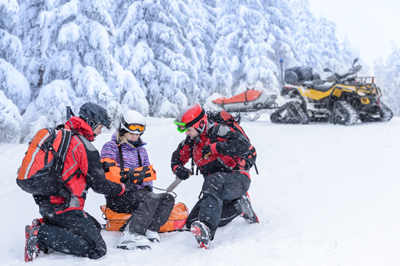 Incorporated in 1993, North Shore Search and Rescue is a not-for-profit organization. We are the collective efforts of volunteers from various professions and all walks of life who bring together their skills and experience to provide assistance to those in need of our expertise. We provide assistance to all authorities when requested to conduct Search and Rescue operations. Our members are given the training to develop the skills required to successfully and safely conduct Search and Rescue operations. The North Shore Search and Rescue team is dispatched by the Police of Jurisdiction. Our catchment area ranges from Blind River to North Bay, and Cartier to Parry Sound, including Killarney and Manitoulin Island. This geographic area (approximately 12,000 square kilometers) encompasses a full-time population in excess of 283,000 people with MANY more seasonal residents & visitors. It takes only a few minutes to save a person's life in an emergency. Do the right thing; DON'T WAIT - call 911 for police or emergency medical services. Our trained and skilled members are ready to assist police or EMS in any Search and/or Rescue emergency on a moment's notice.